"Rocket" redirects here. For information about the weapon in Mario + Rabbids Kingdom Battle, see List of weapons in Mario + Rabbids Kingdom Battle § Rocket. 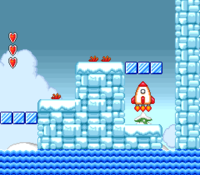 A Rocket launching, as in the Super Mario All-Stars version of Super Mario Bros. 2. The Rocket, or Rocket Ship, is an item in Super Mario Bros. 2. It can be randomly plucked from the ground, just like Vegetables, and acts as the "door" to the next level, taking Mario, Luigi, Toad or Princess Peach upwards. After a certain height, the player's character jumps out of it, and it explodes shortly afterwards. It only appears in Worlds 4-2 and 7-1. In the Super Mario-Kun adaption, Mario, Luigi, Yoshi, and Toad defeat Clawgrip with a rocket. It also appears in Yoshi's Island DS where Yoshi goes inside a hut and comes out of a launch pad. It appears in Level 5-4 The Fort of Moltz the Very Goonie, and Level 5-8 At Last, Bowser's Castle!. Rockets make another appearance in Super Mario 3D World. After Meowser is defeated, the Sprixie Princesses will build a rocket in World 1, which leads to World Star set in space. Rockets also appear at the ends of Worlds Star and Flower, both of which lead to the next world after the players have met the requirements. A Bros. 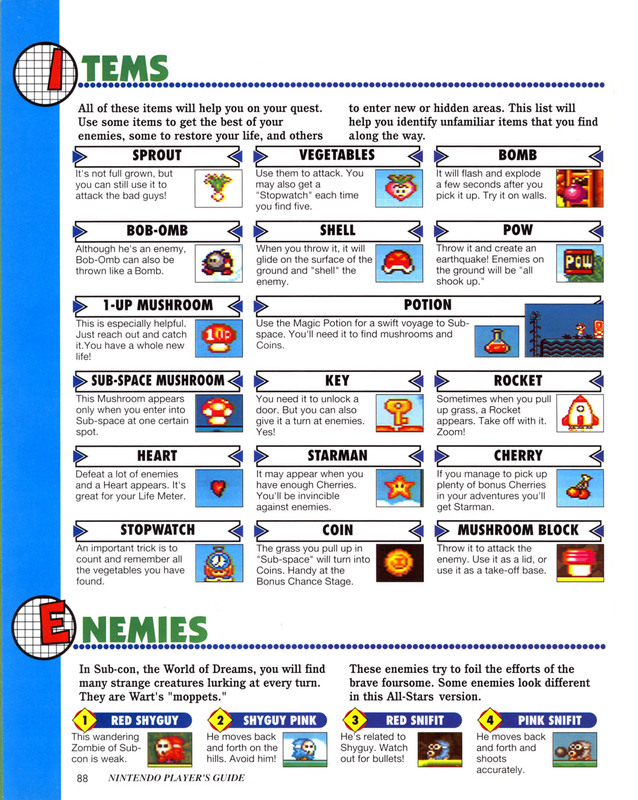 Attack for Mario in Mario & Luigi: Paper Jam, called Rocket Blast, involves Mario and Luigi using a rocket to attack enemies. Rockets return in Super Mario Odyssey, now known as Mini Rockets. Mario must capture them with Cappy to use them, and like in Super Mario 3D World, they are reusable and do not explode. This page was last edited on March 19, 2019, at 19:37.